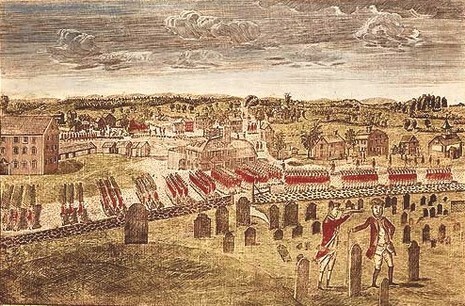 The Battle of Fort Anne, fought on July 8, 1777, was an engagement between Continental Army forces in retreat from Fort Ticonderoga and forward elements of John Burgoyne's much larger British army that had chased them from Ticonderoga, early in the Saratoga campaign of the American Revolutionary War. On the morning of July 8, a supposed American deserter, who was really a spy, informed Hill that the fort was occupied by nearly 1,000 demoralized troops. Opting not to attack the numerically superior force, Hill sent a message back to Burgoyne outlining the situation. Burgoyne ordered the 20th and 21st regiments to quick-march toward Fort Anne in support, but poor weather hampered their movement, and they did not arrive until after the battle. 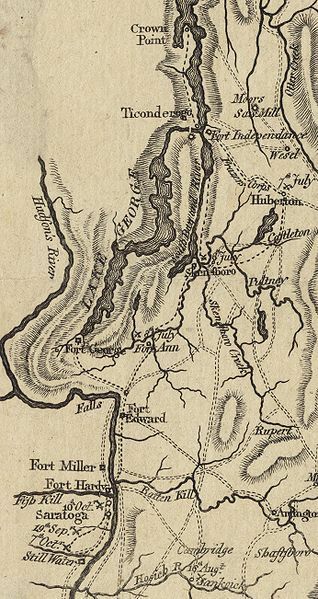 The "deserter" returned to Fort Anne and reported on the British position and troop strength.